Encodium EDM300S series supports 1/4/16 HDMI or HD-SDI interfaces to encode high-definition video signals into IPTV main-stream video formats. Each of HDMI/HD-SDI interfaces can be encoded with 3 IPTV streams including one main-stream with HD-1080P resolution, one extensive-stream with HD-720P stream, and additional one with 576P resolution stream. 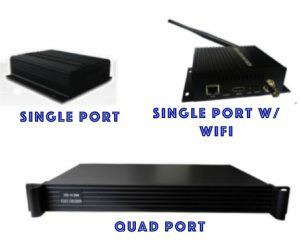 Besides, every stream is able to 3 streams to different platforms; say, the total out-streaming IPTV LIVE channels is supported up to 9 per an input HDMI/HD-SDI video. It’s definitely awesome features for most of IPTV operators, Live Streaming content providers, and everyone who is interested to broadcast their content with LIVE IPTV streams through the global Internet. In addition, 3 individual RTMP streams are easily connecting to Facebook, YouTube, UStream, and most of video/streaming CDN service providers. In addition, Encodium can play great MagicàTo encod the high quality video into different standards of streaming protocols such as RTP/RTSP, UDP unicast/multicast, HTTP, of course RTMP for the most video platforms – YouTube, Facebook, UStream, Twitch, Adobe Media Server, Wowza Media Server,… and certainly most of video/streaming content delivery networks (CDN). Besides, H264 AAC video/audio codecs are supported with any devices and systemsàAndroid, Apple iOS, Windows, macOS, Linux …nothing can’t be played on earth. Encodium EDM300S series products are built by all hardware based real-time CODEC with low-power design and the best performance as the basic characteristics, they are very helpful for those IPTV content delivery service providers, hotels/hospitality service providers, educations, governments, and even religion organizations to deliver the cost-effective, ease-to-use, and high quality and performance IPTV contents through the Internet. 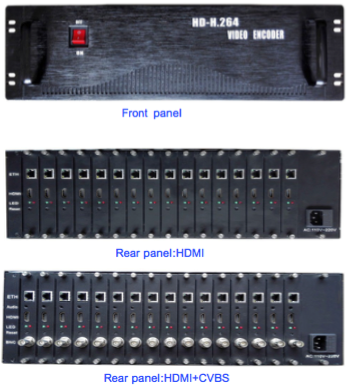 Encodium EDM300S series products are built with standardized and the best solution for H264/AAC CODECs supporting YouTube、Facebook、Google、Twitch、UStream、Adobe Flash Media Server、 Wowza Media Engine…the most IPTV video platforms in the world.